SuperPhillip Central's been on a much needed vacation for the past couple weeks or so, but here's some new content for the readers that pass by regularly and every so often (and of course, completely new friends as well). For the purposes of this article, the vacation was definitely necessary after need to get all of the hype out of my body over watching Spider-Man: Homecoming, which was really phenomenal. However, my specialty is reviewing games, so I'll graciously offer you links to more reputable film critics than I! 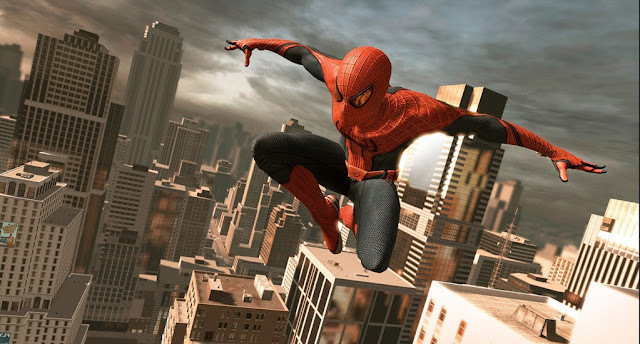 Instead, with the excitement of a well executed Spider-Man film after several misfires of varying degrees, it seems like a perfect opportunity to swing in and look at a subject near and dear to my favorite hobby and favorite superhero with this top ten list featuring the best Spider-Man games of all time. After you've read my picks, would you say you agree with them and the order? 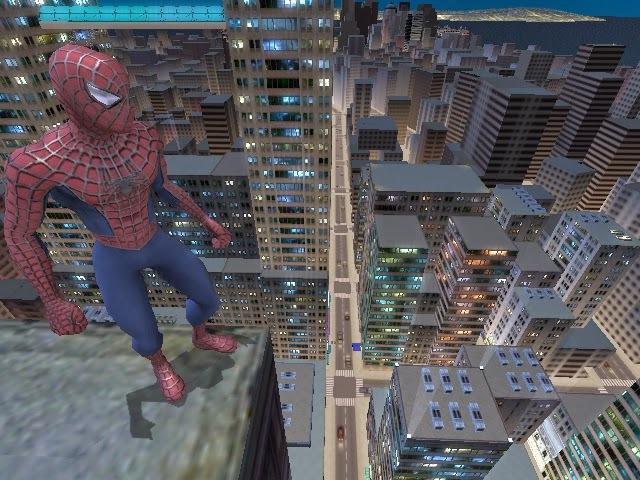 Beginning this webhead-related countdown is Spider-Man: Web of Shadows, a game that put players in a wonderfully HD crafted version of Manhattan to explore with various main missions and side activities to engage in. Stellar boss battles featuring Web of Shadows' sensational combat and impressive window dressing like the original story and voice acting all further highlight this game. However, a tricky and often cumbersome camera to work with in addition to the much advertised choice system within the game left much to be desired. Still, Spider-Man: Web of Shadows remains a game starring Spidey that is worth checking out, though you'll have to find a physical copy as the majority of Activision's games licensed by Marvel were delisted on digital marketplaces--Web of Shadows being one of those. 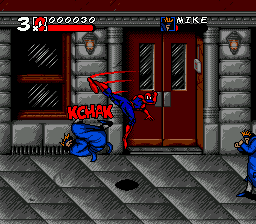 We're going back in time a bit further to the 16-bit era days of gaming with one of the first video game adaptations of a comic book story, Spider-Man and Venom: Maximum Carnage for both the Super Nintendo and Sega Genesis. The two versions of the game played and looked the same, serving as a side-scrolling beat-em-up similar to Streets of Rage of Final Fight. The difference here is that instead of original characters, Spider-Man, Venom, and a whole host of Marvel heroes and villains were the stars. 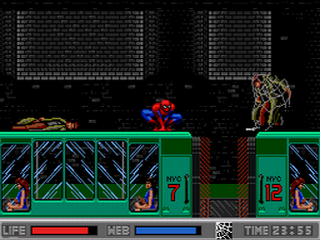 Despite playing well, Maximum Carnage suffered from a tendency of repetition in its gameplay. 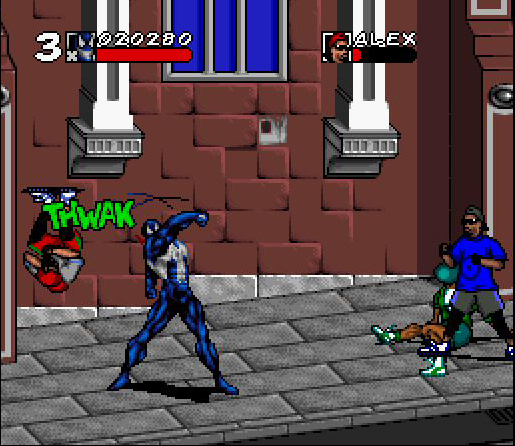 The game didn't offer much in the way of an extended repertoire of moves, but for a lazy afternoon with my brother back in the day, Spider-Man and Venom: Maximum Carnage provided more than enough fun for a pair of webhead siblings like us. From one beat-em-up on consoles to one that exclusively appeared in arcades (seriously? No digital release of this yet?! 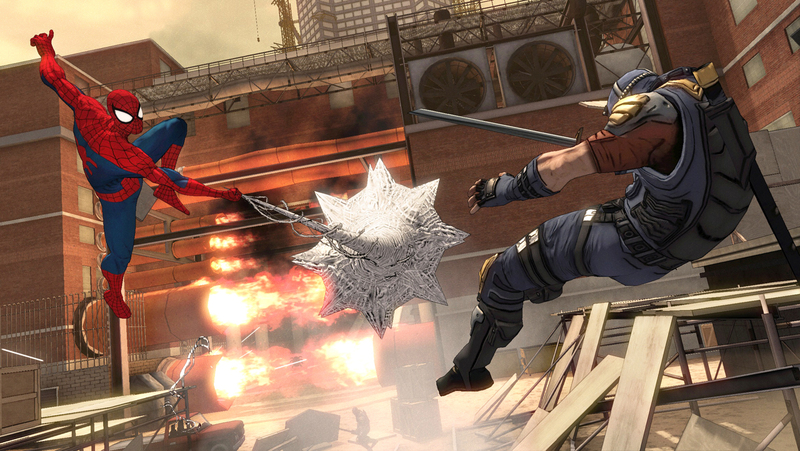 ), we turn our Spider Sense towards Spider-Man: The Video Game. 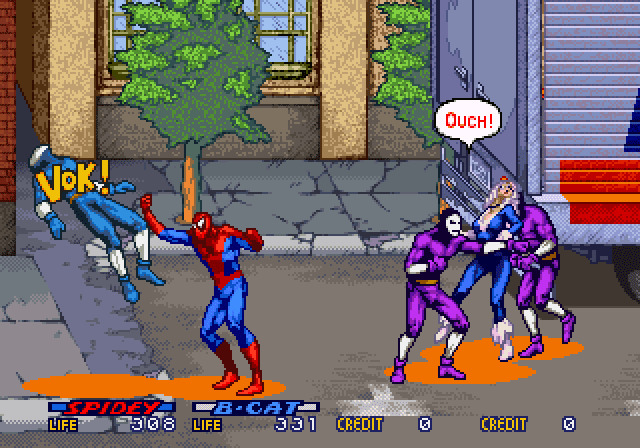 This brawler didn't do much to distinguish itself from the multitude of other games of its genre released at the time, but this Spider-Man-themed vibrantly vivid colors, superb sprites with impressive animation, and inclusion of voiced dialogue made for a spectacular showing. To spice things up a bit, there were some platforming segments to partake in, made less frustrating than it would normally sound thanks to a zoomed out camera. For Spider-Man lovers, the appearance of our webbed hero's most nefarious villains like Kingpin, Doctor Octopus, Scorpion, Electro, and even the then-relatively new Venom should be enough to arouse some interest in this arcade gem. 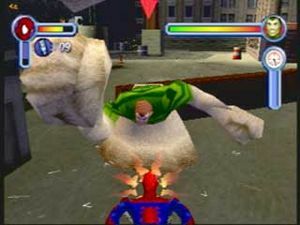 With the reboot of Spider-Man as a film franchise, Activision also put out video games based on the new direction of the movies. 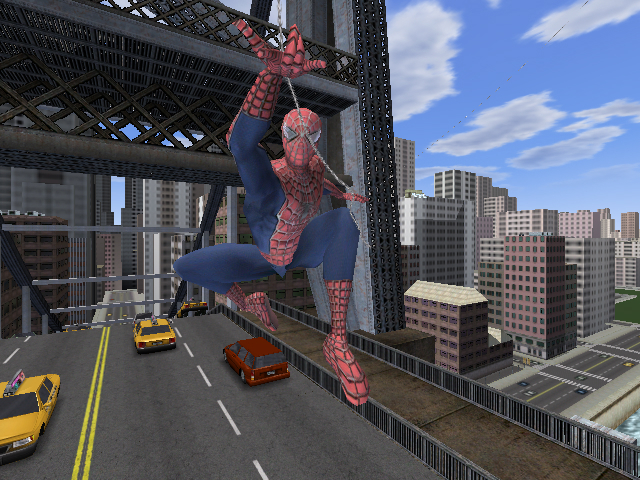 However, with The Amazing Spider-Man, developer Beenox took a different approach than just retelling the same story of the film it was based off of. Instead, the team crafted a story that took place after the events of the movie. This strategy worked out well, and the actual game was tons of fun. Web-swinging throughout Manhattan was just an enjoyable as always (though sticklers of Spidey web-swinging without any buildings nearby weren't too happy), but the thing of it was that Manhattan itself didn't have much fresh in it content-wise that other previous open world Spider-Man games didn't already have. Still, The Amazing Spider-Man game definitely turned out much better and more engaging than the film's sequel. Woof. 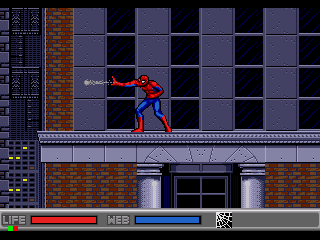 Returning to retro gaming for just a little bit here, we have The Amazing Spider-Man vs. The Kingpin. Although the Sega Genesis version was no slouch, we'll be focusing on what many consider the definitive version of the game which is found on the Sega CD. This version improved the entire package whether with gameplay improvements like quicker gameplay to remove any sluggishness from the original Sega Genesis version, two new levels exclusive to the Sega CD port, the ability to gather collectibles in the form of comic books, animated cutscenes with fully voiced dialogue, and also related to the presentation package, a wholly new soundtrack. 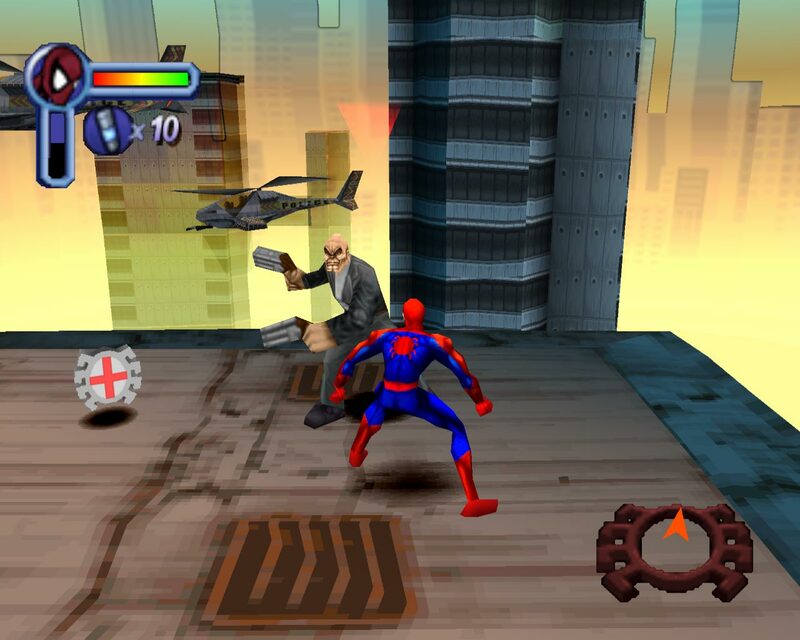 All of these improvements made what was what I consider the best 2D Spider-Man game, The Amazing Spider-Man vs. The Kingpin, even better. If you've ever said to yourself that one Spider-Man wasn't enough, then did Activision have a game for you! 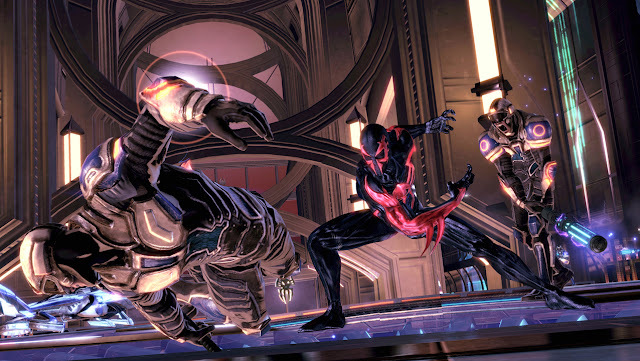 In Spider-Man: Shattered Dimensions, four Spider-Men from alternate universes are the playable characters (The Amazing Spider-Man, Spider-Man Noir, Spider-Man 2099, and Ultimate Spider-Man), each with their own abilities and gameplay mechanics which are tied together with one thrilling story. Shattered Dimensions proved that not every Spider-Man game needs to be open world to be enjoyable. In fact, the linearity of the game allowed for some interesting level ideas, action sequences, and encounters. Whether it was free-falling in an intense free diving sequence as Spider-Man 2099 or stealthily exploring a trainyard as Spider-Man Noir, the degree of gameplay variety on offer was excellent, making Spider-Man: Shattered Dimensions a terrific game, though I'm still bitter I could never survive that damn final boss' rings of doom. Spider-Man from Neversoft may have released on the PlayStation, Nintendo 64, and Dreamcast home console-wise, but the sequel only ended up on Sony's box, despite originally being conceived for all three. Spider-Man 2: Enter Electro doesn't have the same caliber of villains in Spider-Man's rogue's gallery, but all the same it did some things to improve upon its predecessor, such as outdoor areas now having street levels to them--although this limited the openness of areas considerably. Enter Electro may not be as memorable as the original, but it was just as solid gameplay-wise, even bettering certain aspects affecting gameplay such as more realistic AI, for starters. 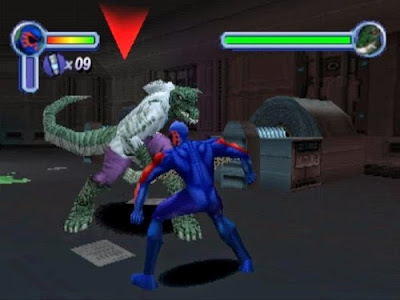 Thus, Spider-Man 2: Enter Electro is a stellar Spider-Man game, but it didn't do as much as it needed to in order to get a recommendation over the next title on SuperPhillip Central's list. While Spider-Man games in the 16-bit era and prior all ranged from good to utterly atrocious, the gaming world didn't get a truly amazing Spider-Man game until Neversoft's effort on the original PlayStation with the simply titled Spider-Man. 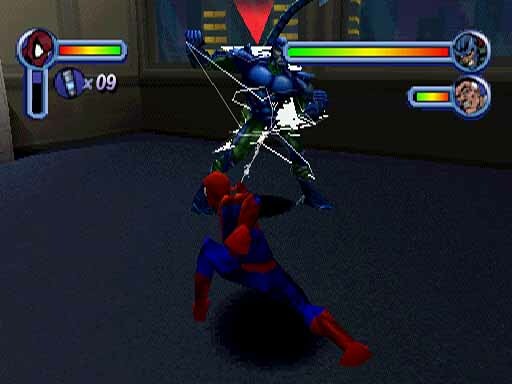 Though the games have obviously since improved in tech since Spider-Man's first PS1 outing, it's not an exaggeration to note just how big this game was for pushing Marvel's friendly neighborhood Spider-Man into the modern era of gaming. While limitations like tech and budget kept outdoor swinging sections strictly to rooftops which might seem lame now, being able to swing around an open space as Spidey was liberating unlike any experience featuring the webhead before it. The cast of characters and nods to the comics were delightful for any Spidey fan, and most importantly of all, the game felt satisfying to play, something even 2D Spider-Man games of the past had trouble nailing down. Not to be confused as the sequel to Spider-Man's PlayStation debut, Spider-Man 2 based off of the Sam Raimi film of the same name is to this day still the standard that all current open world Spider-Man games are measured against and compared to. The reasons for this are simple. For one, swinging as Spider-Man had never felt more rewarding. 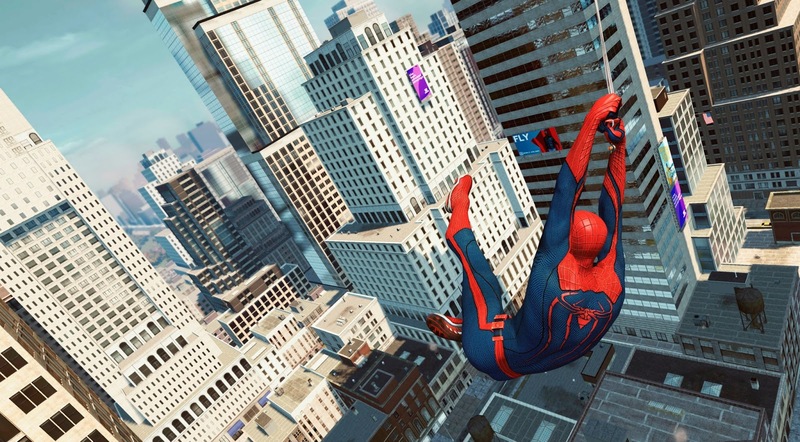 In many Spider-Man games, you can swing with wild abandon, even if there is literally nothing above Spidey to attach his webs to. This wasn't the case with Spider-Man 2. 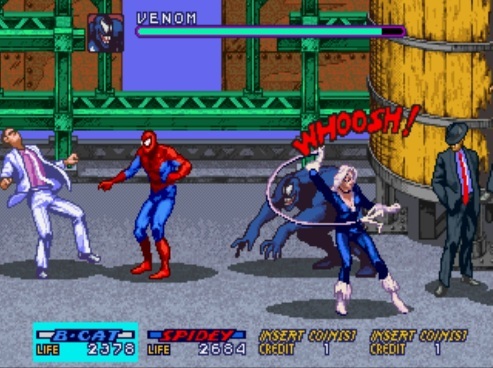 You needed to be near buildings of the appropriate height in order to swing, and while challenging to do, once you got a rhythm and mastered it, web-swinging was SO rewarding. Then, there was the number of interesting places and activities to be found all around the open world setting of Manhattan. Whether you were saving citizens or children's balloons, you were making progress in Spider-Man 2. All of this adds up to a brilliant Spider-Man game that works so well as both a complement to the tremendous film of the same name and just a standalone experience--but it's not the best Spider-Man game to me. 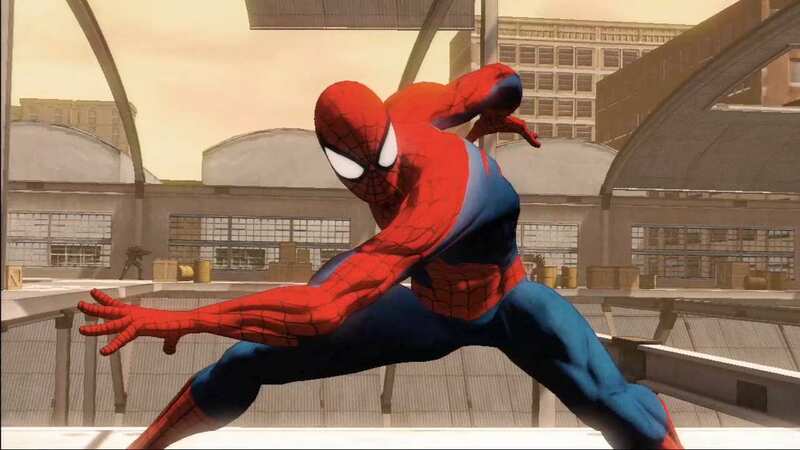 Not resting on the team's laurels after finding great success with Spider-Man 2, Treyarch hit the air swinging with Ultimate Spider-Man, their second open world game. 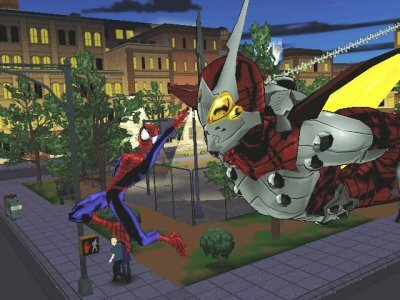 Having a solid foundation from Spider-Man 2 certainly helped with the development of Ultimate Spider-Man, allowing the team to focus on crafting an even larger playground for players to jump, swing, and soar through with more mission types than ever before. (The latter being something that has yet to be challenged by even later Spider-Man games--here's hoping for Insomniac Games to pull through, though!) 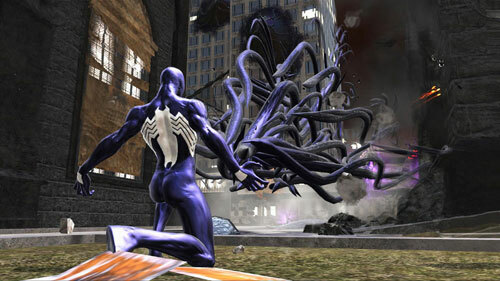 Based on the comic book series of the same name written by Brian Michael Bendis, Treyarch took an arc of the comic book and made an entire game revolving around it to terrific effect, having players shift between Peter Parker/Spider-Man and Eddie Brock/Venom. 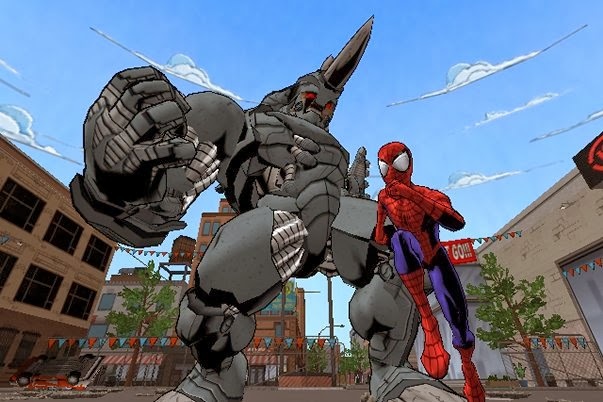 Since the game was based on the comic, Treyarch went with a superb cel-shaded style that makes Ultimate Spider-Man still look incredible unlike so many other Spider-Man games of the past, even from around Ultimate's time! With varied missions, an appealing story (especially for lovers of the Ultimate Spider-Man comic book series from when it was around), splendid web-swinging, combat and other gameplay mechanics, and so much more, Ultimate Spider-Man is what I consider the best Spider-Man game currently available.